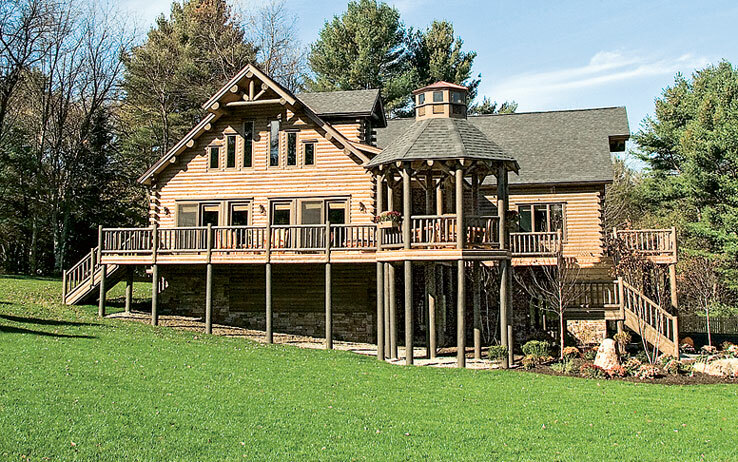 Twelve years ago, when log home exteriors were typically stained a honey brown, TV viewers may have scratched their heads at the lobster-trap-gray shade (by Perma-Chink Systems) chosen for this home, but it totally works, and has weathered beautifully. 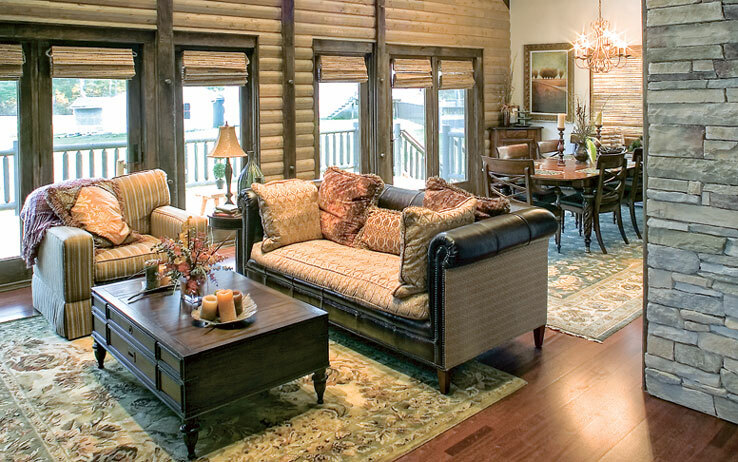 Katahdin’s design team created many cozy santuaries throughout the home, including this spot just off the dining room. Vibrant area rugs, rather than walls, define the borders of each space. 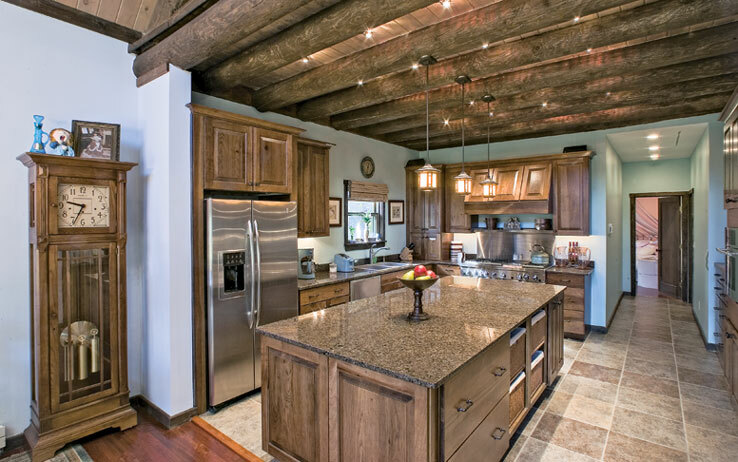 Lobsterman Doug Goodale and his family flock to this oversized kitchen island, topped with granite. Drawers and cubbies keep the family of four organized. 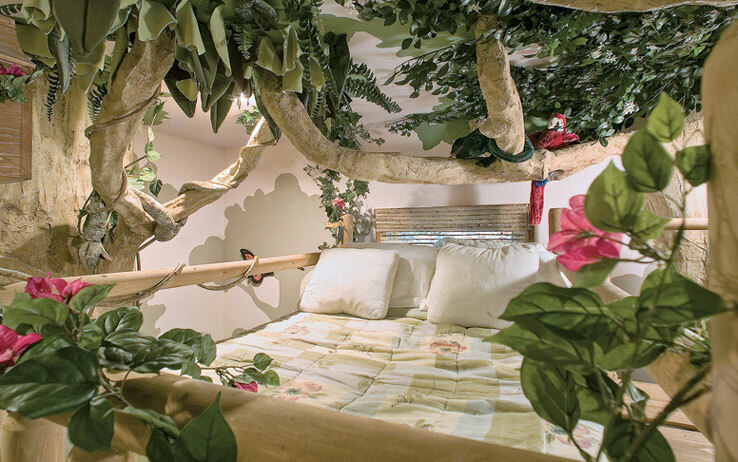 The “rainforest bedroom” is the most unique room in the house, featuring a 5-foot-high log loft bed among the faux trees (dripping with hundreds of fabric leaves) and wildlife. The polka dot room radiates teenage fun. 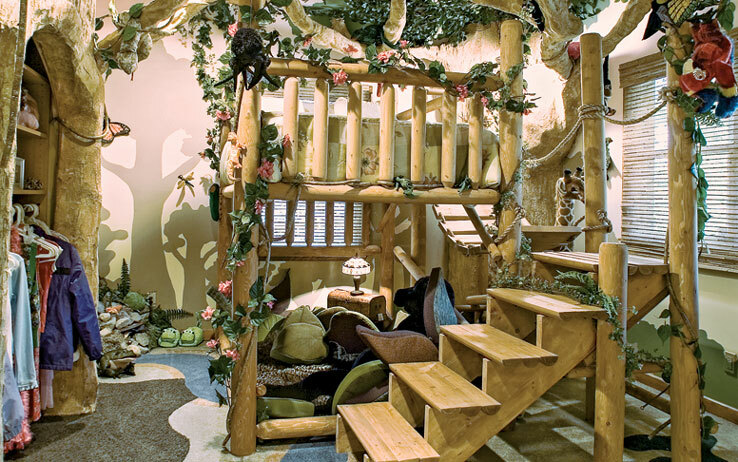 Every piece of furniture and decor in this space is round or oval, including the handcrafted bed. The mini-ballet studioin the basement is a little girl’s dream. 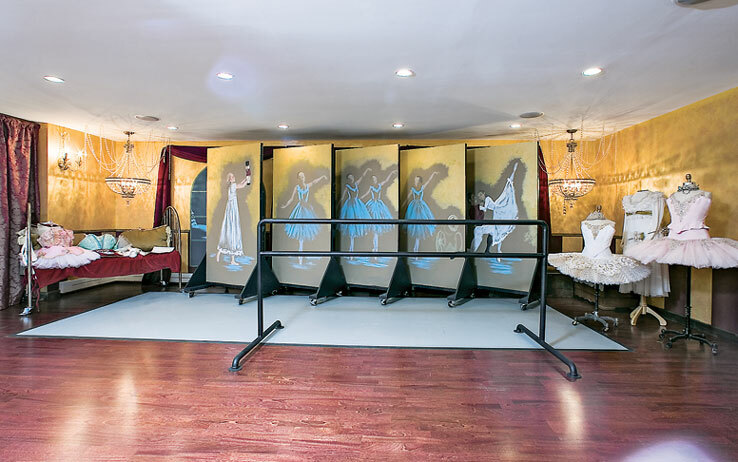 The elegant space features everything from crystal chandeliers to hand-painted screens, not to mention a sturdy barre and ample room to dance. Katahdin Cedar Log Homes generously donated materials and 1,100 volunteers gave their time to make a deserving family’s dream come true.